Attendees gave an average score of 3.8 of 4.0. View the participant feedback from the 2016 Lean Innovation Forum. View participant feedback from the Congress 2016 workshop. View the participant feedback from this workshop. I rather appreciated the workshop you gave on Lean-Driven Innovation at Cal Poly a couple weeks ago. And I’ll be candid—I didn’t expect to. I figured I’d seen it all before—after all, I owned and operated a consultancy firm for more than a decade before jumping into municipal government some time back. As a small business owner, I knew “lean” as what one does to stay in business, and “innovation” as simply the best way to be successful in the marketplace. I expected to hear much the same content I’d heard for years—in repetitive workshops on applying Agile and PMP methodologies in the municipal organization. And while the content was similar (how could it not? ), it was presented from a different perspective that I could appreciate far more in my current career in municipal government than in the private sector during my former life. Thank you kindly for a most worthwhile learning experience. I hope our paths cross again. Look for upcoming scheduled presentations and workshops here. Attending a Lean Driven Innovation workshop gives the practical knowledge needed to help implement lean principles in any organization. Two different workshops will be presented by the Shingo-award winning author of “Lean Driven Innovation”, Norbert Majerus. Workshop 1: Lean-Driven Start-Up Innovation, January 24, 2019. 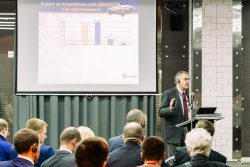 Workshop 2: New Products Every Year – On Time and On Target, January 25, 2019. Register for these workshops at LLPDE.org. Although lean has found widespread application in manufacturing and services, there have been very few sustained implementations in R&D — and even less in the innovation creation process. Lean startup thinking has energized some areas of application (e.g., software development), but manufacturing innovation has yet to fully embrace lean principles. Goodyear and many other innovative companies have proven that the benefits of applying lean principles to innovation or R&D — even at the fuzzy front end of the innovation cycle — can be much higher than what has been accomplished in traditional applications, such as manufacturing and services. Benefits include greater agility, more successful new products, better delivery, and much faster speed to market. – How to measure progress to be sure you are getting closer to your goals? – How to maximize the talent you already have? – How to discover the truth using simulations, interactions, and tangible experiments? It applies to all businesses and services that want to become more innovative. By attending this workshop, what will attendees be able to do upon returning to work on Monday? 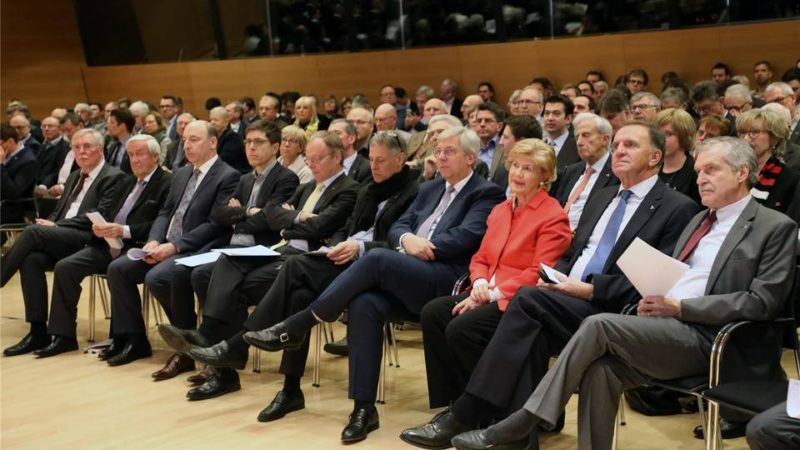 – Leaders, managers and practitioners in R&D, Engineering and Manufacturing organizations. Since 2013, Lean Innovation Forum provides the environment for lean experts, practitioners and other innovation professionals and organizations from around the world to come together, share their experience, lessons learned and best practices. This year’s Lean Innovation Forum will explore the topics of Digital, Lean and Innovation, and how they interlace to boost competitive advantage. LiF2018 UK is a three-day event divided into the pre-conference workshops and the main two-day conference. Norbert Majerus will be presenting the opening keynote presentation, Lean Leadership, in addition to the pre-conference workshop, How to Start a Lean Product and Process Development Program. Register for this event at leaninnovationforum.com. A successful lean transformation requires the engagement of the people who do the actual work. This workshop teaches the basic principles of change management and shows how to engage people — in R&D and throughout processes and functions impacted by R&D — in a successful and sustainable transformation. Bottoms-up and top-down are two popular modes for a lean transformation, but who has ever heard about an inside-out transformation? This is exactly what Goodyear did for its lean transformation of global R&D (described in the book Lean-Driven Innovation). Inside-out is about educating the people who do the work about lean principles and engaging them in an organized transformation and a well-managed change process. Leadership must also be engaged and willing to change their roles and behaviors. Respect for people is at the heart of the resulting cultural change. Kennametal Center’s mission is to place qualified students within organizations where they can learn, grow and contribute by applying their knowledge of operational excellence to daily processes. Our goal to set employers up for success by providing them with quality employees that are equipped with the skills necessary to excel in the complex business environment and strive for world-class success. We seek to strengthen the alignment between industry and academia in the community so that we can create a pipeline of talented people that funnel back into the community. How to measure progress to be sure you are getting closer to your goals? How to maximize the talent you already have? How to discover the truth using simulations, interactions, and tangible experiments? –	Leaders, managers, and practitioners in R&D, Engineering and Manufacturing organizations. Register for this Shingo Summit. Two years ago Norbert Majerus published a book, called “Lean-Driven Innovation; the book won the Shingo Prize last year. The book is the Goodyear story on implementing lean in the R&D and in the innovation creation process. The lean process made a huge difference in the Goodyear innovation centers, increasing on time delivery from 20% to over 90%. It also reduced the cycle time by 75% and tripled the throughput. Majerus is telling the story all over the world but only had one small opportunity to share it with the industry it was developed for: tire development. The new product lifecycles have drastically decreased in the last decade. On the other side, R&D efficiency can be measured by how fast new knowledge can be generated and transferred into profitable products. Due to those 2 facts, innovation speed is a tremendous competitive advantage. Lean can contribute a lot to making the innovation creation process faster, starting with the elimination of waste, quick learning cycles, concurrent development, and ending with lean project management. Although the chief engineer (or project manager) and matrix organizations are staples of a lean organization, few companies have taken advantage of other lean principles and tools when managing their projects. At Goodyear and as described in the book “Lean-Driven Innovation,” lean thinking combined with a solid project management organization has led to large increases in on-time delivery, speed, and agility. Projects meet their business case (profitable products) and resource utilization has been tripled despite a flat budget. This workshop teaches how lean principles can help project execution, and it describes lean startup principles that help organizations transition new ideas into successful products. In addition to the process, the workshop also covers the appropriate way to manage people and lead project teams. In this webinar, Norbert Majerus takes us through the highlights and key learnings of the Goodyear transformation to being an innovative Lean Product Development organization. When Lean Product Development emerged in the early years of the 21st Century, American based product development practitioners took a keen interest, studied the principles, and experimented by innovatively applying the principles. Over the next decade, at Goodyear in Akron Ohio, a relentless internal champion, Norbert Majerus, and a team of colleagues applied these principles, transformed Goodyear’s product development efficacy, and established Goodyear as an innovation center and a transformation model. The transformation at Goodyear has been captured in the Shingo-Prize winning book, Lean-Driven Innovation, authored by Norbert Majerus. The success of the Goodyear transformation is capturing in a most startling (to product developers) quote in the book, from a business leader to the CTO at an important cross functional meeting: “I don’t know how you did it, but we seem to get what we need, we get it when we need it, and it shows in our financial numbers’. Join Norbert Majerus and Peter Palmer for this post-conference workshop. One of the most frequent questions asked at lean R&D conferences is “How should I get started”. Unfortunately it is also one of the most neglected subjects in lean publications. What makes it so hard to answer this question is the large diversity: different products/services, different industries, cultures etc. False starts are to blame for most unsuccessful and abandons transformations. Seasoned implementers are able to see the commonalities of the problems and challenges and in this case are willing to share them in a workshop. Customer-Focused, Knowledge-Based and Faster at LPPDE Europe 2018, Paris, France. This presentation imparts what Goodyear learned on its lean R&D journey as well as how the company implemented lean principles and achieved synergy between lean and creativity. Join Norbert Majerus and other lean leaders for this special landmark celebration of 30 years of Shingo Conferences on operational excellence. Experience the Shingo workshops and learn the Shingo Model™ to understand how to build your culture of excellence. Gain cutting-edge knowledge from the latest research on Lean practices and related topics. Learn from Shingo recipient leaders and hear about their journeys toward excellence. Witness the bestowal of the Shingo Prize and other awards at the opening Awards Gala. Choose from four specialty tracks. Mix and match sessions from each, if you choose. The transformation at Goodyear has been captured in the Shingo-Prize winning book, Lean-Driven Innovation, authored by Norbert Majerus. The success of the Goodyear transformation is captured in a most startling (to product developers) quote in the book, from a business leader to the CTO at an important cross functional meeting: “I don’t know how you did it, but we seem to get what we need, we get it when we need it, and it shows in our financial numbers’. In this webinar, Norbert Majerus will take us through the highlights and key learnings of the Goodyear transformation into being an innovative Lean Product Development organization. Join Norbert for a keynote on Lean Driven Innovation, in addition to panel sessions with industry experts. Lean thinking has revolutionized the manufacturing industry. Since 2005 its principles have been applied to the innovation process by Norbert Majerus. 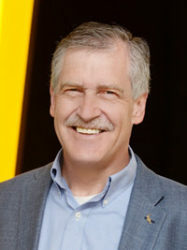 Born in Luxembourg in 1952 and based in Akron since 1983 Goodyear’s lean champion in research and development. He is the author of the award winning book: “Lean driven Innovation”. Bottom-up and top-down are two popular modes for a lean transformation, but who has ever heard about an inside-out transformation? Inside-out is what Goodyear did for its transformation of global R&D. Inside-out includes helping the people who do the day-to-day work to lead a successful transformation by providing a sponsor, training, coaching and empowerment. Leadership support alone is not sufficient in an inside-out transformation: leadership must change as well, learn to help associates be successful and show respect for people, which is a very important concept that applies to all associates. The transformation leader plays a crucial role and must change first. Although lean has found widespread application in manufacturing and services, there have been very few sustained implementations in R&D or other organizations that focus on innovation. Lean-startup thinking has energized high-tech industries, but applications to the innovation creation processes in traditional manufacturing industries or services have been rare and very little has been published on the subject. In fact, many executives believe that applying lean to an innovation creation process can hurt creativity. 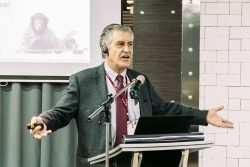 The resistance to lean and innovation is unfortunate: the benefits of applying lean principles to innovation or R&D even at the fuzzy front end of the innovation cycle, can be much higher than what has been accomplished in traditional applications, such as manufacturing and services. Benefits include higher agility, more successful new products, better delivery and much higher speed to market. 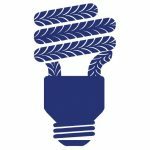 Goodyear has developed a highly successful lean R&D and innovation creation process, and the company willingly shares its findings with industry. 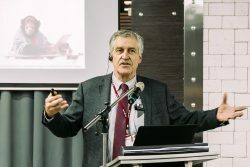 This presentation imparts what Goodyear learned on its lean R&D journey as well as how Goodyear implemented lean principles and achieved synergy between lean and creativity. Bottom up and top down are two popular modes for a lean transformation, but who has ever heard about an inside-out transformation? Inside-out is what Goodyear did for its transformation of global R&D and it is about helping the people who do the work to lead a successful transformation with a sponsor, training, coaching and empowerment. Discover how a successful transformation is one where the people involved are convinced they did it all by themselves. Learn how transformations such as this are also much easier to sustain. Many lean change agents cite “the people” as the biggest challenge in the transformation. This was certainly also an experience that Goodyear’s lean champion, Norbert Majerus had. He learned that people must be fully engaged in the transformation to produce sustainable results. A lot has been published about how Toyota manages people – and all of that is very good – But many companies have experienced challenges to copy the Toyota model because they have a different culture and organization. It is obvious to Goodyear now that they have a different organization and culture and that people must be managed differently. To get there, it helps to understand the principles, the specific needs and challenges. Through the workshop, participants will learn what experience they had in Goodyear innovation centers during and after the lean transformation. Tour Goodyear, an AME Excellence Award recipient, and see how the company has developed its highly successful lean R&D and innovation creation process in this one-day workshop packed with simulations, examples, case studies and excitement. This presentation imparts what Goodyear learned on its lean R&D journey as well as how the company implemented lean principles and achieved synergy between lean and creativity. View the Lean-Driven Project Management webinar at ProjectManagement.com. Development speed has never been more important than right now. Being faster than competitors is a big advantage to most companies, but what many companies do not know is that development efficiency improves as they get faster. Development speed can be significantly improved by the application of lean principles to the development process. For example the correct application of waste elimination, single piece flow, concurrent development etc. had a huge effect at the Goodyear Innovation Centers where they have been used for more than 10 years now. In this workshop, participants will learn what lean principles increase development speed and how to correctly apply them to achieve the desired effects. Many simulations, examples and illustrations make the workshop effective and fun. To enrich your learning experience, you can sign up for pre-conference workshops on September 18, 2017. These sessions typically are in groups of 8-16 people and are highly interactive and tailored to the audience as much as possible. Register for this workshop and other events at LPPDE North America 2017! Learn how lean thinking and lean principles are applied in the innovation creation process. The same principles apply to becoming more innovative in any processes in industry and services, including finance, health care, etc. Join Norbert at the SCPD Conference for his presentation, Transforming From the Inside Out: People at the Center of Innovation and Concurrent Product Development. As one who works hard to train young professionals rising through the ranks of an R&D organization, we asked Majerus what advice he gives them when they start. He said, “Never stop learning. Every day you should look for problems to solve and for better ways of working.” The part that is hard for engineers, he said, is to be open and communicative — both in seeking out advice and in a willingness to teach others. The experience of The Goodyear Tire & Rubber Company shows how applying Lean principles to R&D can improve the efficiency and effectiveness of new product development. Author Norbert Majerus discusses his article published in the March-April 2017 issue of Research-Technology Management. Join Norbert Majerus for the conference session, From Good to Great: Taking Process Excellence and Business Innovation to the Next Level. Additionally the post-conference masterclass, Leveraging Lean Innovation and Start-Up Thinking for Organizational Process Transformation, shows how embracing lean and innovation can result in higher agility, more successful new products, better delivery and much higher speed to market. The quest of LPPDE Europe 2017 is about how should we adapt our product development processes and ways of working to enable the development of such complex systems in which hardware, firmware and software components are combined. This event brings together the best and brightest individuals & organizations from across key sectors to engage, network, benchmark and discuss the key challenges and future trends within operations excellence and its application & impact on Innovation Execution, Agility, Customer Experience, Leadership, Value Creation, Business Transformation, Strategy & Culture. 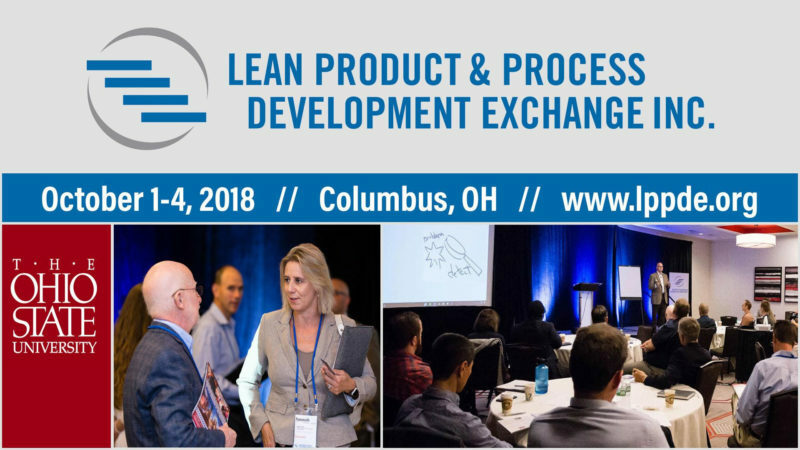 This conference brings together a select group of International and National speakers, who are leaders in their profession, have achieved significant results or have an innovative approach on how they are taking their Lean journey. Although lean has found widespread application in manufacturing and services, there have been very few sustained implementations in R&D and even less in the innovation creation process. Lean start-up thinking has energized the area of computer applications but the manufacturing innovation lacks behind. The resistance to lean and innovation is unfortunate: the benefits of applying lean principles to innovation or R&D even at the fuzzy front end of the innovation cycle, can be much higher than what has been accomplished in traditional applications, such as manufacturing and services. Benefits include higher agility, more successful new products, better delivery and much higher speed to market. Norbert Majerus presented a keynote session, “Doubling Productivity: Walking the Talk”, and two day class in Lean Product Development. 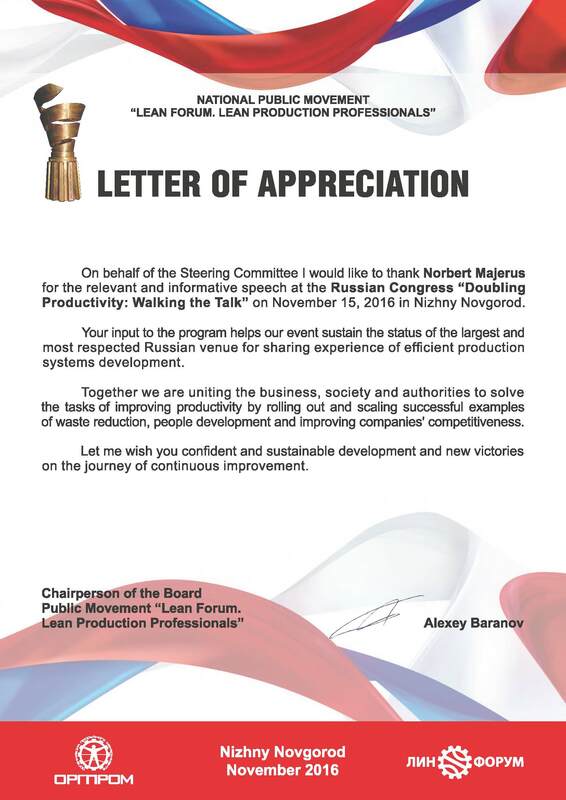 View Norbert’s Interview at the Russian Congress on Productivity Improvement (link opens in external site). How applying lean principles in R&D, even at the fuzzy front-end of the innovation cycle can benefit you? Norbert Majerus explains at the Lean Innovation Forum 2016 what Goodyear learned on its lean R&D journey, as well as how Goodyear implemented lean principles and achieved synergy between lean and creativity. Norbert shared his knowledge with SCPD and PDMA members at this presentation, which included a tour of Century College’s Fab Lab. Norbert Majerus gives an overview of how to unleash the power of lean principles in product development; engage employees in developing a successful lean product development system; hear examples and results from an effective system; change management, collaborative/cross-functional teams and coaching communication. 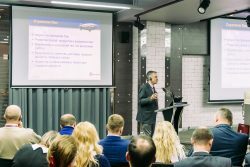 This presentation imparts what Goodyear learned on its lean R&D journey as well as how Goodyear implemented lean principles and achieved synergy between lean and creativity. The workshop is packed with simulations, examples, case studies and fun. “Bottom-up” and “top-down” are two popular ways to implement a lean transformation but have you heard to an “inside out” transformation? 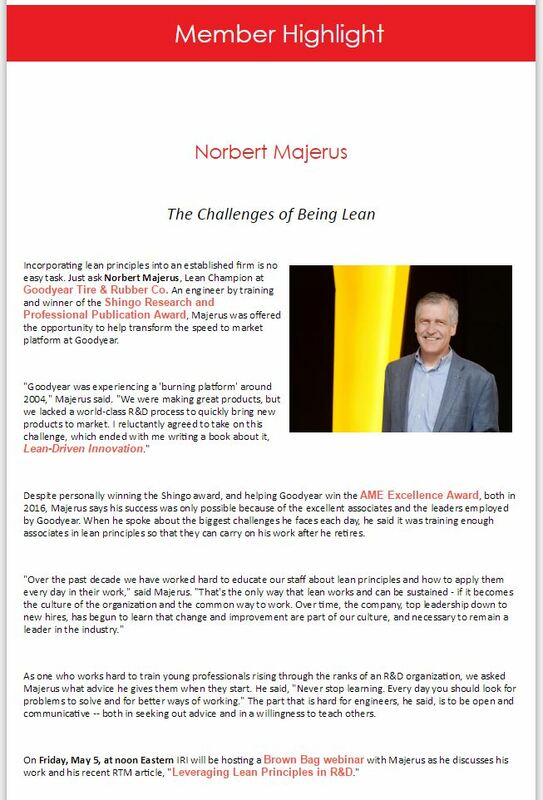 Watch the video presentation by Norbert Majerus from the 2016 Northeast Lean Conference to learn about this method, used by Goodyear Tire & Rubber Co., to transform their global R&D operations. 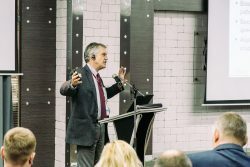 Norbert Majerus teams up with Peter Palmér to deliver an Advanced Lean Product Development workshop for somewhat experienced lean PD practitioners that promises to deliver an experience based and practical view, built onto a solid theoretical foundation! Manufacturing leaders teach how mid-level managers can make big transformations in their organizations using the principles of the Shingo Model. Join Norbert Majerus for a Lean-Driven Innovation workshop on Tuesday, September 20, 2016. A presentation about managing the people through the transformation. In order to have a successful transformation, leaders must understand the change process and engage the people affected by the change. One day workshop on lean-driven innovation, with subjects picked by the attendees. Panel discussion on future of tire industry with focus on lean and automation. General Presentation on Lean-Driven Innovation. Presented by Norbert Majerus, a presentation about managing the people through the transformation. In order to have a successful transformation, leaders must understand the change process and engage the people affected by the change. Presentation on innovation made together with Billy Taylor. This presentation explores the main requirements and characteristics of a good innovative product development engine and shows how some lean principles can be applied to improve the innovation creation process. It examines the development process from the idea creation to the launch of the product and dispel the idea that lean reduces creativity. Norbert explores different lean principles that apply more to the “fuzzier front end” of the process in addition to those that apply to the process closer to the launch. He shows examples how those principles were applied at Goodyear, including real results. Finally, Mr. Majerus will also show an implementation path that can help participants apply the same ideas at their companies. Becoming lean is important for virtually all industries and disciplines. But when it comes to product development, applying lean fundamentals often fails. Learn more at http://dozuki.com.